Winter themed snowflake wedding invitations…. a collection of new designs with a diamante snowflake embellishment, perfect for a winter wedding. 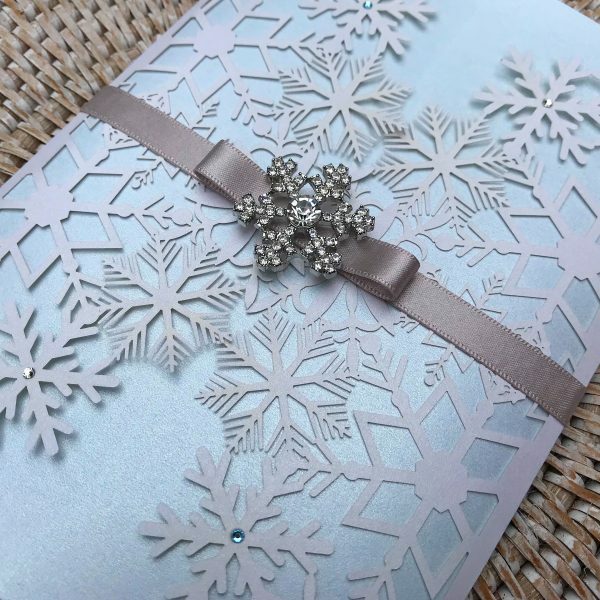 1st design is created on a intricate laser cut snowflake wedding invitation gatefold card and 2nd design a silver pocket fold snowflake wedding invitation with deluxe tag and snowflake embellishment. 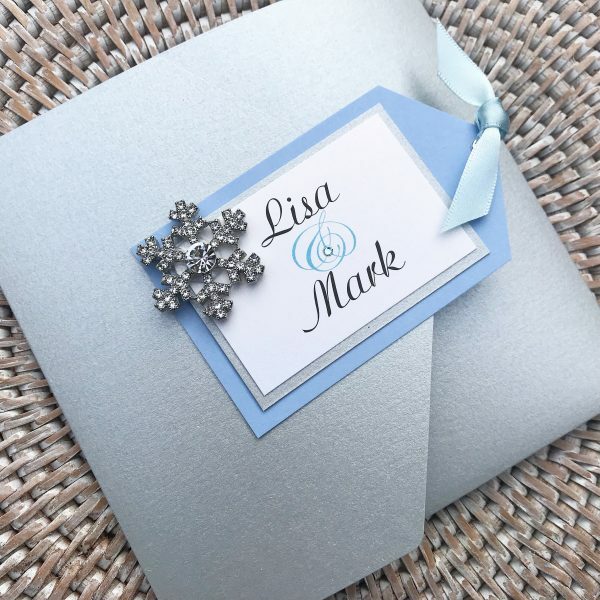 I can incorporate any colour theme to these snowflake wedding invitations to match the style of your wedding, both designs include main invitation, RSVP card and information cards. Both designs can be found in my Elegance and Laser Cut Wedding Invitation collections, please email for details on design and prices or for a free sample?